You What?! You really enjoyed camp?! 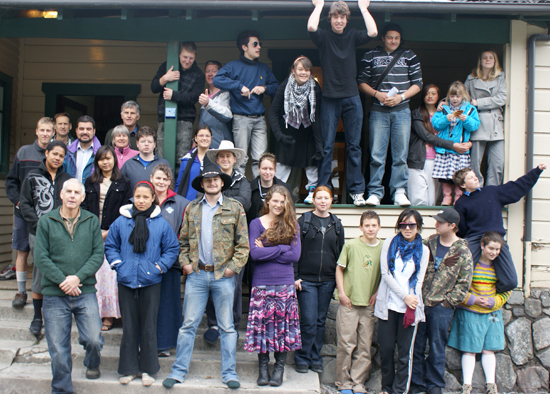 About 34 people attended Youth Bible Camp '09 at the Arthur's Pass Outdoor Eduction Centre in the Southern Alps of the South Island during late September to early October. The theme emphasized being bold for Jesus, just as He has been bold for us! "Camp was awesome!!! Lots of fun and laughs while also a great blessing!" "Inspiring, empowering and lots of fun and laughter. " 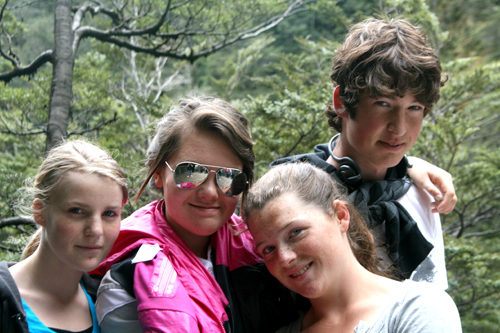 "I liked the Bible studies, going to Castle Hill Rocks and the snow. I even liked the You What?! restaurant and meeting new people." "YBC was great! shame you couldn't come!" "The meetings were really good too. Had lots of inspiration and good information to take home and put into practice"
"Have made some tremendous friends and am sad to leave everyone! Fun times..."
First thing every morning we had room worship. This was a new idea this year and each bunk room had their own study together. All the rooms studied from the same notes based on Bible characters that were bold for God. Each morning after breakfast Jedidiah took our Bible Classes. He started with a time-line of world history. We also looked at some of the prophecies and the basics of Christianity. During the Bible classes we also covered the sanctuary, end time events and an interesting presentation on Medical Missionary work. In the evenings James Higgins from Australia took an enjoyable and informative series of meetings. He first talked about the value of the Bible. He also shared about why bad things happen to good people. One evening he took an interesting meeting called "MySpace in the Universe" where he talked about identity and the need we each have for God in our lives and how He is interested in us personally. 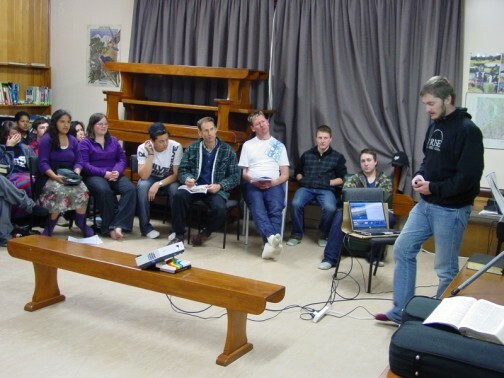 The last evening was a talk called "Failure is Not an Option"
On Sabbath morning we travelled to Greymouth and attended the little church there. 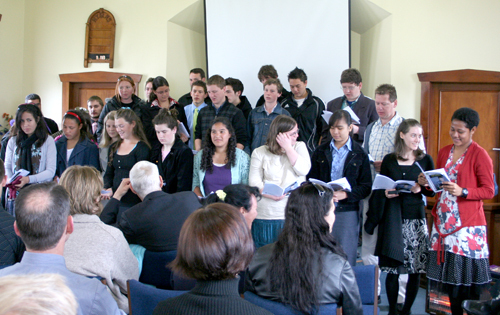 With us there, and some extra youth from Christchurch, we filled the church up so much that some of the locals that came later had to sit in the foyer for Sabbath school! Damon lead out for the preliminaries and Justin shared his testimony of how he was living a fast life until he was in a serious car accident that left him in a coma for 3 months. This event changed his life and helped him realise the value of God. Danny Brooks took the Sabbath school lesson about order and organisation and Karl Taaffe from Christchurch took an inspiring sermon on Heaven. On the first evening of camp we played a game to get to know each others' names. It involved sitting in a circle and running to tap the knee of the person who was called, then if they said another name first you had to dash to tap that person before they said a name, if you did you swapped places. Wednesday afternoon we walked from the lodge to the Devil's Punchbowl Falls. After crossing the bridge we walked up a small valley on a track with 336 man-made steps until we got to the viewing platform where there is a good view of the large water fall that drops 131 meters. A few went up to the bottom of the falls and got very wet! After this walk the more keen also did the Bridal Veil Falls walk. On this track Zachary got the nick-name QUACK (from Zachary Quack in Hairy McCleary Books) which stuck with him for all of camp and he's fearful it might be for the rest of his life! This track comes out to the road closer to the top of the pass. 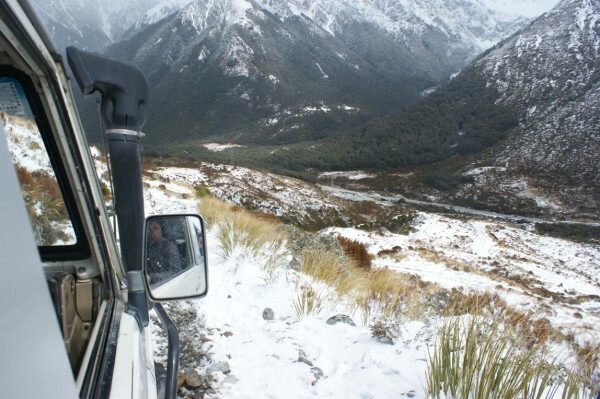 From there we met the vans and went to the viaduct lookout before driving down to the Otira River and back. Thursday afternoon was one of the highlights. We travelled in the vehicles to Castle Hill. 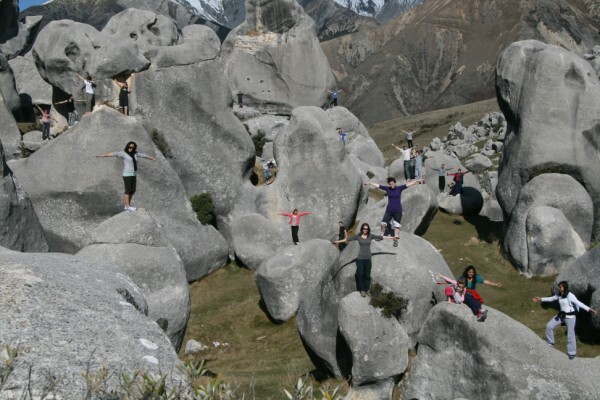 There are huge rocks there which we enjoyed climbing over and playing sardines. Basically every one but Mindy and Victor found everybody. Then we played a second round and Madaline went and hid and ONLY Mindy and Victor found her – every one else gave up after about 40 minutes of searching. After that we got some good photos and every one either climbed rocks or just sat around enjoying the lovely day. Friday it came in rainy so we had a lot of enjoyment doing activities inside. These included leading blindfolded people through a maze of obstacles using limited voice commands and games like electricity and stagecoach etc. 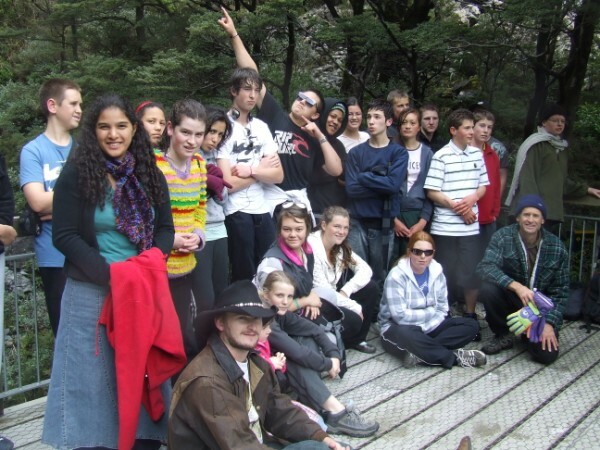 On the Sabbath afternoon we stayed at the church hall after lunch and did some quizzes and activities and then we continued from Greymouth up to Punikaiki where we looked at the Pancake rocks (which are fascinating) and the blowholes (that were not blowing). It was an enjoyable afternoon. As we travelled back to camp there was a little snow falling and laying on the ground at the top of the pass so some stopped to enjoy it. After having a devotion time to see Sabbath out, we had a games evening when we played games like one where we wrote three things about ourselves and then when they were read out we tried to decide who it was. One thing we learnt was that Mindy was NOT AN AUSTRALIAN! On Sunday morning we climbed up to Temple Basin Ski Field. There was snow on the ground and it got thicker as we got higher untill it was about knee deep at the top. We were all proud of Justin who made it right to the top with the help of Grant, Dennis, Jedi and Logan and others to steady and support him. The views were amazing and the sun was nice but the snow was cold! Snow was gently falling most of the time. It was the first time that a few, like Laisa from Fiji had seen snow, let alone been in it and seen it fall. 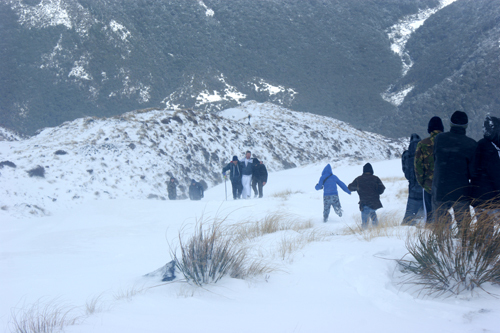 Some climbed down carefully while others tumbled and fell down shortcuts in the snow. There were also a few good discussions in the groups as they descended. Andre, Dennis & William helped Justin get down about two thirds of the way and Damon managed to get his Land Cruiser up the track that far to bring them down the rest of the way. In the mean time Logan and a few others were relaxing on a shipping container playing with a Kea up his sleeve and climbing on his leg. We were back in time for lunch. 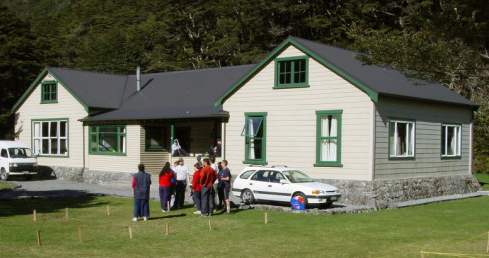 In the afternoon the unanimous agreement was to spend the time with some more activities at the lodge, so it was back to Four on the Couch, the Country Game, Amazing Mobsters and other enjoyable social time together. We had three healthy, tasty and popular meals a day. Angela was the main cook and various other people helped out. And every one had turns to help with meal prep and wash-up. For Thursday night tea we visited the You What?! Restaurant. Well actually it was in the dining room but menus were handed out and each person selected from the list things that they wanted. The problem was most of the items listed weren't food so they had to guess or just hope for something good. 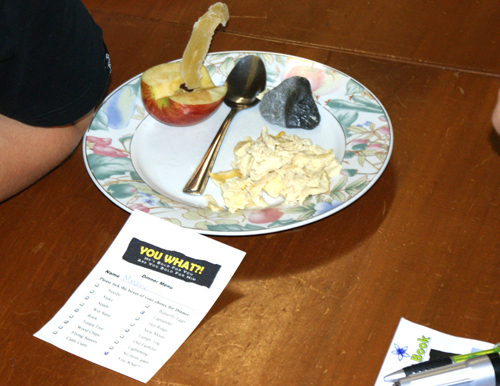 When their plates were delivered they had a random selection of food, or non-food items on their plates. The cutlery was also in there so some were smart enough to get some, others missed out. There were things like laplander, a serviette; lightening, a fork; totara tree, broccoli; butterfly eggs, rice etc. The joke was over the 'rock' on the menu, which was... a washed rock! On the last night of camp every one got given $350 YBC Dollars and we had an auction where every one had to buy their food. It was lots of laughs with people paying up to $350 for a simple serving of soup and toast. As the money started running out people teamed up to buy the last tasties like liquorice and dried mango etc. All the other meals were much more 'normal' but still very enjoyable and tasty. Between the morning Bible class sessions each day we had a break and a few activities. In one we had two teams and had to have all of our team connected to a 'stretcher' or a bearer and carry someone on it through a tricky obstacle course. Another time we had four people covered in a blanket to make up a 'horse' and their leader was to lead them through obstacles with no voice instructions! 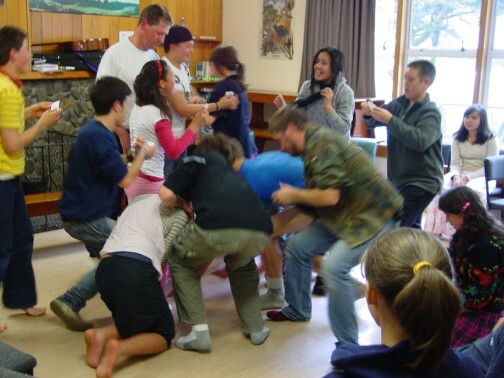 Perhaps one of the most enjoyable ones was the human knot, every one got in a bunch and held someone else's hand and then tried to get untangled! We also had opportunity to spend time together in small numbers to make good friends and just chat. 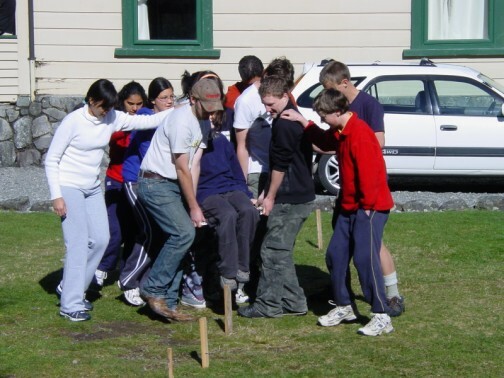 After evening worship most nights we enjoyed a short social time, walk or games together before heading off to bed. Most campers were pretty tired after a busy day. • The organisers would like to thank all the campers that attended for being such a great bunch to work with. We look forward to seeing you next year and pray that you will continue to strive to be bold as a Christian and share your faith with those around you. • All campers should receive a disc with meeting notes and extra photos. If you don't get one let us know.